The aurora lights are one of the most incredible phenomenons we have the opportunity to witness here on Earth – and we’re luckier than most on Anglesey because we have the chance to see the wonderful Northern Lights colours in the sky on our very own doorstep. Best seen between September and April, the Aurora Lights, also known as the Northern Lights, are a natural light show that awe and inspire like no other – which is why we’ve decided to create a guide dedicated to increasing your chances to seeing this marvel on our island. And remember, if you catch any of the Northern Lights on your hunt, be sure to share them with us – we’d love to see! You can find anything on the internet these days, including a website detailing exactly when you can expect to find the Northern Lights over the UK. To increase your chance of seeing the Northern lights on Anglesey, make sure you visit the Aurora Watch website before you head out. It will tell you, via it’s colour coded schedule, whether or not you can expect to see the lights in your area at a particular moment in time. It’s a great starting point before you head out into the night with your camera! If you’re super interested in seeing the lights, you can also set up email alerts so that you know when the lights are forecast to be strong. It’s a handy website for those in the UK wanting to see this tribute to the magnificence of nature. It’s vital to remember during your pursuit hunt for the Northern Lights that although there may be reports of light activity, you need the correct weather to be able to see the show in all its glory. The most important weather factor to consider is cloud cover. If you hope to catch a glimpse of the lights, a clear night will fast become your best friend. Make sure to always check the weather forecast before heading out – you don’t want to be disappointed! It might not always be 100% obvious where the lights are, so an integral part of aurora discovery hunting is to make certain that you’re looking in the right direction. With that in mind, the name itself is a big clue with regards to the direction of the lights – they’re not called the Northern Lights for nothing! Take a compass out with you to help you with the direction you’re facing. There’s also a handy little compass on Google Maps at the top of the page on the app if you don’t have a traditional compass to hand. Just like the best places to see stars are those away from houses and streetlights, so too is your best chance of seeing the Northern Lights on Anglesey. Head to an area where you know you already have a good view of the stars with a chance to see the lights. Even if the lights don’t show up, the view of stars that night will also be one to remember. Step 5 – Wrap Up Warm! The Northern Lights on Anglesey tend to appear during the colder months of the year, September through to April, so during your hunt be sure that everyone in your party is thoroughly wrapped up. You can also make a night of it by bringing along thermal flasks filled with soothing tea or hot juice for your little ones – it will certainly make the evening a magical one. If you’re following a recommendation from Aurora Watch, we recommend you stick to the times they recommend. However, if you’re heading out alone and want to make the most of your Northern Lights hunt, the best time to look for them are between 5pm and 2am. Keep your watch or phone handy with the time, and alongside the right weather conditions, direction and also lack of artificial lights, you’re in good stead to see the amazing Aurora Lights. Heading out to see the Northern Lights can be an educational trip as well as an inspiring one. If you have little ones with you, why not explain where the lights are coming from? Passing this information onto children will help make this trip one about learning, as well as seeing something magnificent in the sky. We’ve also posted pictures throughout this blog to help you identify exactly what the Northern Lights on Anglesey may look like – just remember, they might not be as bright as some of these images. Make sure you take a good camera if you want to capture your Northern Lights memories – you’ll be glad you did if they make an appearance! Not managed to catch a glimpse of the Aurora Lights? That’s not a problem, because here at Silver Bay we have plenty more wonderful sights for you to see. Our luxury lodges are some of the finest in the UK, and we have a private beach, stunning spa and recently renovated bar, restaurant and lounge for residents to enjoy too. To find out more, download our free eBrochure or request a call back here. 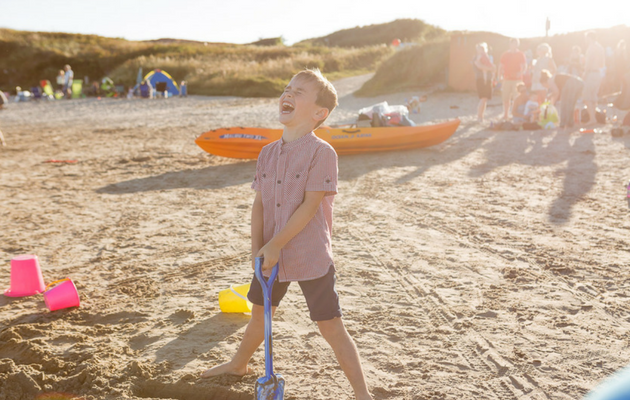 Our friendly team will be in touch as soon as possible to answer any questions or queries you may have about our Anglesey holiday park!